-Use of the present website implies full adherence to our Terms and Conditions. By using this website, you certify being legally capable and of age, and guarantee that the information you provide is true and correct. Any misuse or fraudulent use in your own name or on behalf of a third Party may afflicts you with the law. -Should you plan to arrive at the hotel prior to normal check-in time, please inform us by e-mail for the availability and applicable rate. -Any reservation that has been made is non refundable. 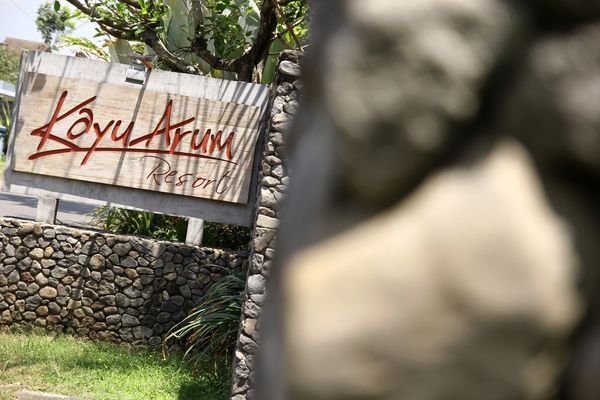 Failure to arrive at Kayu Arum Resort will be treated as No-Show and no refund will be given.